You’ve got a great restaurant concept. You’re in the trendiest neighborhood in the city and you have a variety of delicious menu items. Although you’ve worked hard to create what should be a restaurant hit, you’re struggling to get customers through your doors. 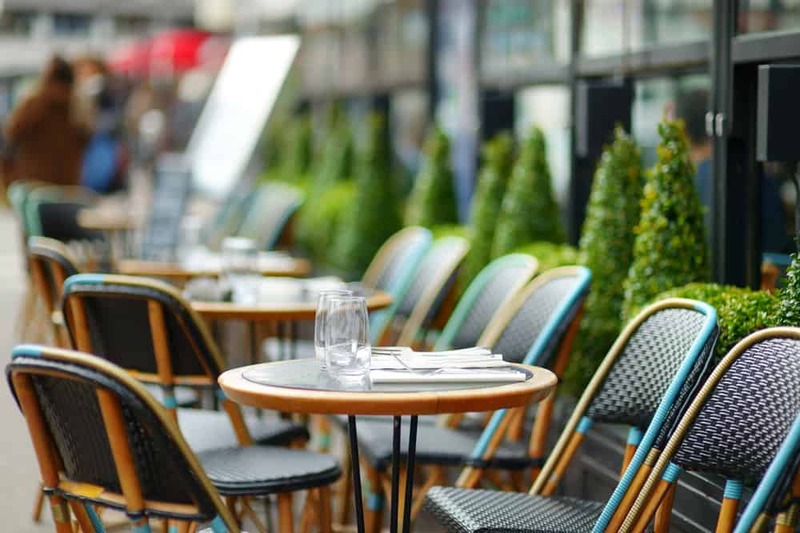 Whether you have one location business or a 300 location business with restaurants all over the country, you’ve got to make your restaurant feel local to acquire new customers and keep customers coming back. Here are six ways to market a local restaurant. Customers will find your business online. Even loyal customers who already know you. What customers see greatly depends on how well you manage your online reviews. When consumers go to Google and search “restaurants in Chicago,” for example, they’ll see star ratings and reviews. According to the 2018 ReviewTrackers Online Reviews Survey, the average star rating for restaurants is 4.14. Restaurants who get their star ratings above average will see an increase in foot traffic. In addition, the consistent influx of reviews helps increase where your restaurant shows up in search engine rankings, which leads to more consumers knowing about your restaurant. Make sure that you geo segment your customers so that each city has a tailored feel and vibe. So, if you’re in Burbank, let people know what’s going on in Burbank with news and events and promotions specific to Burbank. Get involved in the community, sponsor local events that pertain to local markets. Use social media to address different markets, including sharing news and events that are relevant. Use SMS, and email messaging that pertains to that geo-targeted audience. They will feel like you are speaking to them directly. Eric Johnson, content and video specialist for FeedbackWrench, says Instagram is a great way to get consumers excited about your restaurant. Colleen Troy of Touchpoint Communications in Charleston, South Carolina says she tells clients to love the locals. “While we embrace all of the out of towners who come here to dine, we want our clients to remember that it’s the locals who will love them back come January, when there are no tourists in town,” she says. Kyle Golding, CEO and chief strategist at The Golding Group, won the Award of Excellence in Social Media Tactics from the American Marketing Association for his company’s social media strategy for a restaurant client. It’s essential keep up food trends each year. It’s how you deliver a customer experience that meets customer expectations. One food trend involves specific food items themselves. According to research by restaurant POS and management company Upserve, jackfruit, coconut, brisket, and charcoal are among the top-selling menu items of the year. The company suggests adding these items to your menu. Eater has stacked up a list of the top food trends of 2018. According to Restaurant Business, Asian island cuisine and restaurants that are designed for delivery and takeout are among some of the top food trends. According to Buzzfeed, vegan desserts is another major food trend. Local restaurants are some of my favorite places to eat. They normally have some of the best quality food and really care about their business. It is important to market a local restaurant because people will not know it maybe as well as a chain restaurant nearby. Local restaurants are becoming more and more popular and marketing like this is part of the reason why. This guide was extremely helpful! I’ve been helping a restaurant owner with his online social media presence and we’ve also been using Capzool. it gives us ready-made food posts for Instagram and even uploads them automatically to Google+ and Facebook, just another tip! Cheers.